How do you get power to a tiny island located in perilous waters? A group who call themselves the Nerd Girls have taken up the challenge and aim to demonstrate the excitement of engineering at the same time. They are trying to find ways to supply Thacher Island with power and drinking water. It is home to the last operating Twin Light House in the USA. 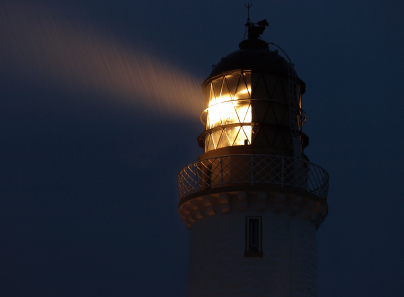 Its two18th century lighthouses were built together to distinguish them from the nearby coastal lighthouses in the days before rotating lights allowed different flashing patterns to be used to identify lights. As well as the lighthouses there are two cottages on the island that need power: one for the keeper’s house and the other for guests. It’s really important that the island has power but it hasn’t been easy to get it there. The island does have power coming via a cable running the couple of kilometres from the coastal town of Rockport on the mainland, under the Atlantic Ocean and onto the Island. Unfortunately the fierce local currents (they are the reason for the lighthouses in the first place), frequently disrupt the supply, and even when there is power, it’s less than expected because water seeps into the power line. This is where the Nerd Girls, a group of female researchers and students from Tufts University, come on the scene. They have created alternative energy systems to run everything on the island: the lights in the lighthouse, the hot water system, providing freshwater, running refrigerators, and even powering a small electric golf cart that is used to haul materials around the Island. Exploiting wind energy wasn’t possible because the Island is small and home to wildlife. Herring Gull and Great-black-backed Gulls nest there in the spring so anything that disrupts them or their chicks was out of the question. As a result the Nerd Girls decided to focus on developing solar energy as the alternative to that badly damaged and oft-repaired power line from Rockport. The Nerd Girls installed a small, solar-powered beacon for one of the Lighthouses by making a battery that weighs just over 11kg and charges two solar panels. They’ve also developed solar energy systems for all of the Island’s other power needs. So if you thought engineering was only for anti-social males whose thrill wiring has been short-circuited, the Nerd girls are out to prove you wrong. In the process they are making sure they have a whole load of fun and that they really do make a difference. Human brains are pretty impressive computing beasts – they are still more powerful than any computer on the planet. Despite that they are pretty energy efficient too. Your brain uses only 12W of power (compare that say with a normal 60W lightbulb – it’s pretty eco-good). Modern compute-servers, used by search engines to store all the data they use to make web searches fast, have about as many basic computing components as there are neurons in the brain. They ought to be able to be similarly efficient you might think. In fact they use megawatts of power – that’s getting on for a million times more power hungry. There are clearly still some tricks that computer designers could learn from evolution about making machines super-efficient!